When one hears about the IoT (Internet of Things), most people think along the lines of smart homes: app-controlled and self-regulating heating and air-conditioning systems, lighting, security, and so on. However, in the years since IoT became a reality it has spread to many other areas of human life, and in many of them it has already achieved and can potentially lead to changes that are nothing short of revolutionary. Transportation is one of such areas — one would think that it is hard to introduce anything new in the industry that has existed more or less since the dawn of human history. But with IoT and a new concept known as Mobility as a Service, the transportation industry is on the path for a major transformation. Let’s take a look at some notable advancements that are on the horizon. With urban populations quickly and steadily growing across the globe, large cities are turning into worse and worse gridlocks with every passing year. Larger world capitals seem to exist in the constant state of transport collapse, and private cars that were once a symbol of personal mobility are getting less and less useful for getting from place to place. One of the potential solutions to this problem is Mobility as a Service (MaaS). By taking tips from businesses like Netflix, some cities in developed countries are attempting to create transport environments in which users can forgo the use of private vehicles completely without losing an iota of their independence and mobility. For example, Helsinki, one of the most advanced cities in this respect, offers an app called Whim — using it citizens can plan their movements by any means of private or public transportation available in the town and pay for them on a subscription basis. When they have to get from one place to another, they just follow the route without wasting a minute. All means of transportations unite in a single network that is always aware of each vehicle’s whereabouts and provides immediate mobility to any subscriber wherever he is in the city. The idea behind this enterprise is to create a network that would be as convenient (or even more so!) than private cars so that people give up using them willingly and not due to compulsion. Such large-scale projects, however, are mostly a prerogative of city governments. But there is a lot that can be done by private enterprises or sufficiently innovation-oriented entrepreneurs. For example, let’s take Autolib, a French car-sharing initiative launched in 2011. By outfitting each of its vehicles with a WiFi sensor to provide dynamic connectivity, Autolib tracks all of its vehicles by GPS and is capable of quickly sending a car to anybody in the city within minutes. Drivers get an opportunity to reserve parking spaces ahead of time, always knowing that they will have a place to leave the car when they arrive at their destination. All this allows for safer roads, less time wasted and more efficient operation all around. Aerial transportation has just as many if not more ways of applying IoT to improve its performance. Starting from installing sensors in the airport area for enhancing user experience to outfitting planes and making it easier for maintenance workers to find problems and check if planes comply with regulations, thus decreasing the overall risks of air travel. The implementation of such innovations will lead to fewer delays, easier navigation, and make the whole travel experience more comfortable, organized, and safe. Moreover, thanks to the latest achievements of IoT application and smart luggage development, a risk of a luggage loss will not seem like an issue in the near future. Whatever municipal governments may have in store for car owners, private cars are certainly not getting less popular and play an important role in lives of most people. This is reflected in the implementation of IoT as well — IoT application development for cars remains one of the most popular areas of software development in the transportation sphere. Possibilities vary from apps that deal directly with the issues of logistics (such as GasBuddy that directs the driver to the cheapest and most accessible gas stations in his immediate vicinity) to those that influence the overall experience of driving (such as Spotify that serves as an alternative to traditional radio). With more and more cars getting online and drivers demanding more and more technology in their vehicles, we are going to face a changed face of the road. Ideally, all vehicles moving through it will be aware of each other even without their owners’ participation and capable of keeping them safe from collisions even without achieving full driverless status. Self-driving cars are one of the most intriguing and ambitious prospects mobility as a service is likely to transform forever. Many companies, from car manufacturing corporations to IT giants like Google, are making inroads into this area, with many of them showing significant success. 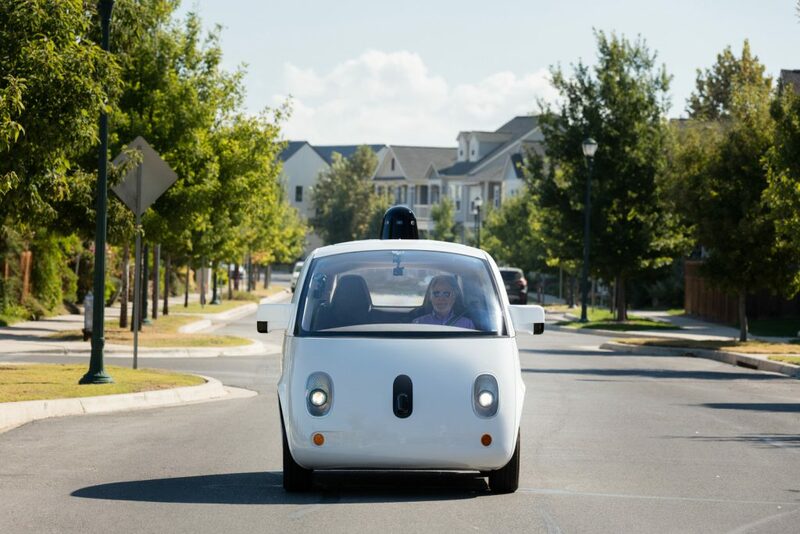 So far, their results aren’t fit for mass use, but it is obvious to everyone that in a matter of years driverless cars will become a routine feature in any cityscape. And it is more than likely that in 10-20 years they will constitute the majority of vehicles present in most cities, at least larger ones. IoT opens genuinely unlimited possibilities for improving the efficiency of fleet management, especially for companies that regularly use large numbers of vehicles that require a lot of coordination. Use of GPS tracking allows collecting information on vehicle locations and operations in real time, which is indispensable for companies that transport people or goods across vast distances. Just like with most other industries, the full scope of possibilities that mobility as a service and IoT open up in transportation becomes obvious only gradually as some of the solutions are getting implemented. Some ideas turn out to be stillborn while others lead to new, unexpected developments. At the first stage, we are likely to see a growing number of connected vehicles on the road — but we still need to see how this connectivity is going to be used on a large scale by both individuals and companies.